This month we have been reading a story called My Shadow. As we were reading it, it struck me that I had never really pointed out or shown Lily her shadow. So I thought of a great activity to start to notice them more. This activity, is best done outdoors and you will need the sun. Its also best to do it when the sun is lower. This is because you will get a longer shadow. So at around 4pm this afternoon, we headed into our back yard where the sun was. I told Lily to bring her chalk with her. When we got there, I pointed out to Lily that she had a shadow. Its no longer a new concept to her, but she doesn't seem to notice it unless I point it out. Very sweetly, Lily waves to her shadow. I then show her how when we move, the shadow moves to. So we start to move both our arms and legs. Now its time for the nice little quick activity I thought of. I tell lily to strike a pose, and put her arms into the air and legs wide. We notice that she shadow does it too. 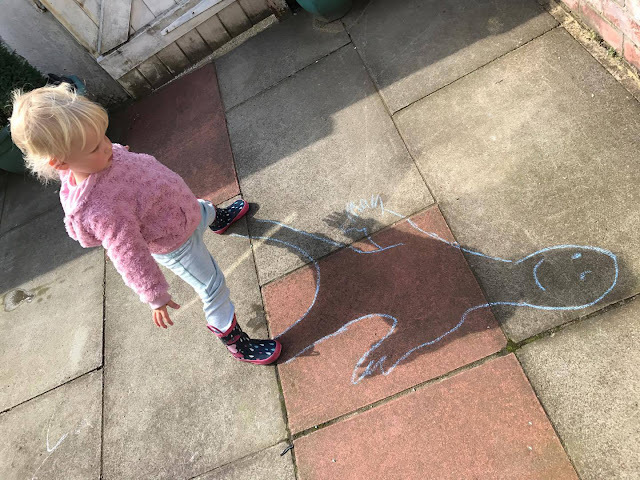 I then get a piece of chalk and asking her to keep very still (not easy for a 2 year old) I draw around her shadow. 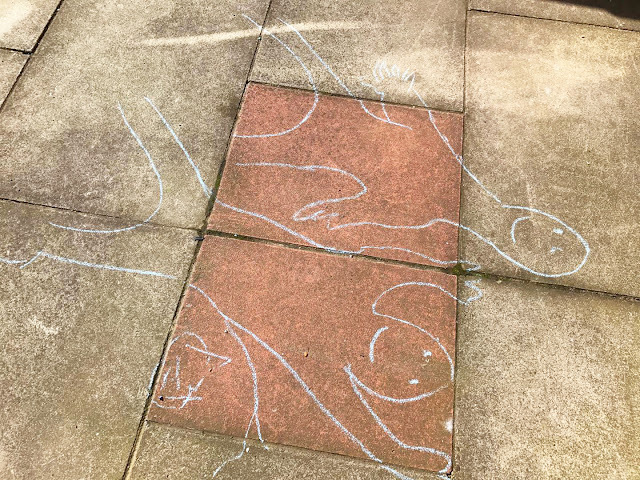 When she moved out of the way, a figure was drawn on the floor. She was very impressed and got me to give it some eyes and a smile. We did it again with a different pose. 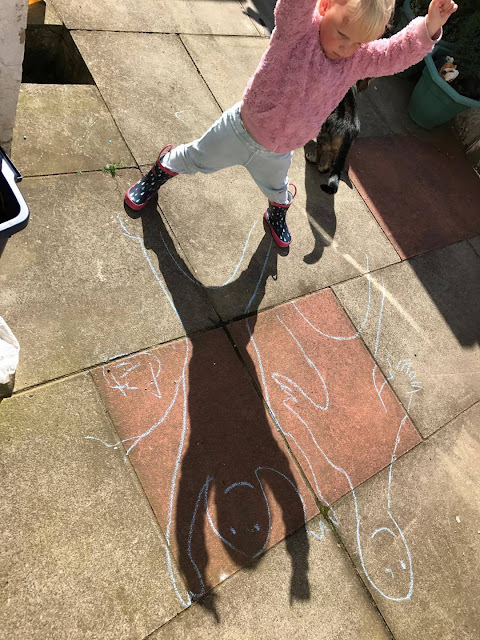 We could only fit 2 shadows into our backyard but you could do loads in lots of different poses if you had a bigger space. I tried to get lily to draw around one of my shadows, but she can't quite understand how to do that yet and was just drawing circles. 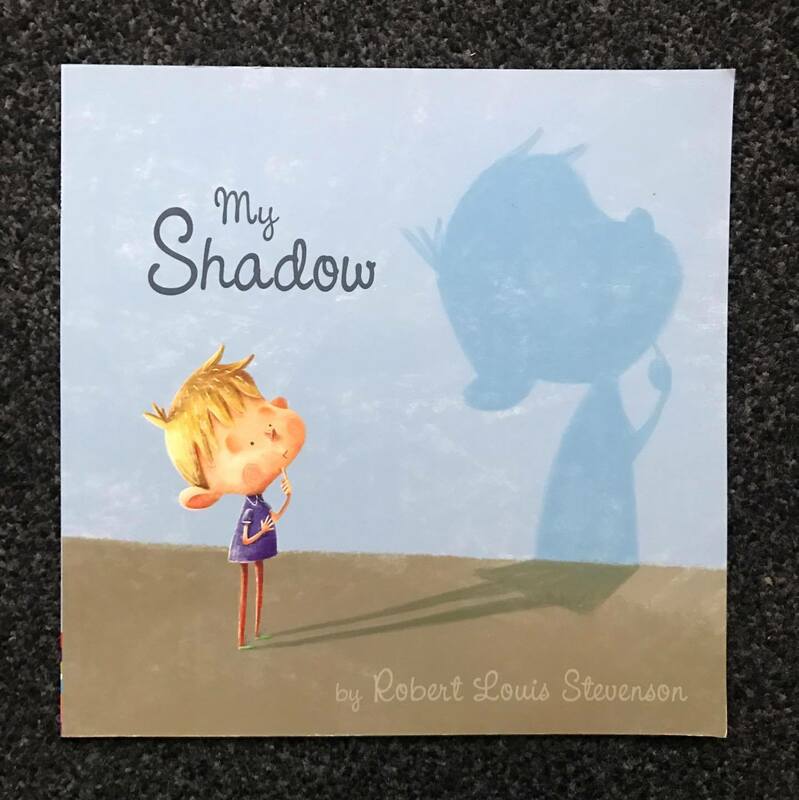 If you have an older child, I bet they would love to draw out your shadow. Its such a quick, easy and fun little thing to do, and you get to learn all about shadows at the same time. Do you think your children would enjoy this activity? This looks like fun! Hopefully we can get enough sun to try this with my daughter. Great idea. My daughter get so excited when following her own shadow. Used to do this ourselves ! I remember my niece had this book and she love it too! Love this idea, it made me smile.